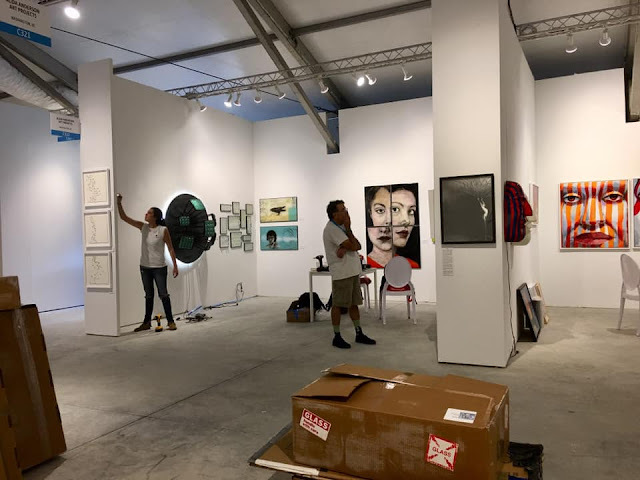 Today LBK and Audrey Wilson, the key elements of the Alida Anderson Art Projects team in Miami's "big dance" of the art world, woke up early and by 8AM were at the marshaling yard for the Art Miami and Context Art Miami fairs. 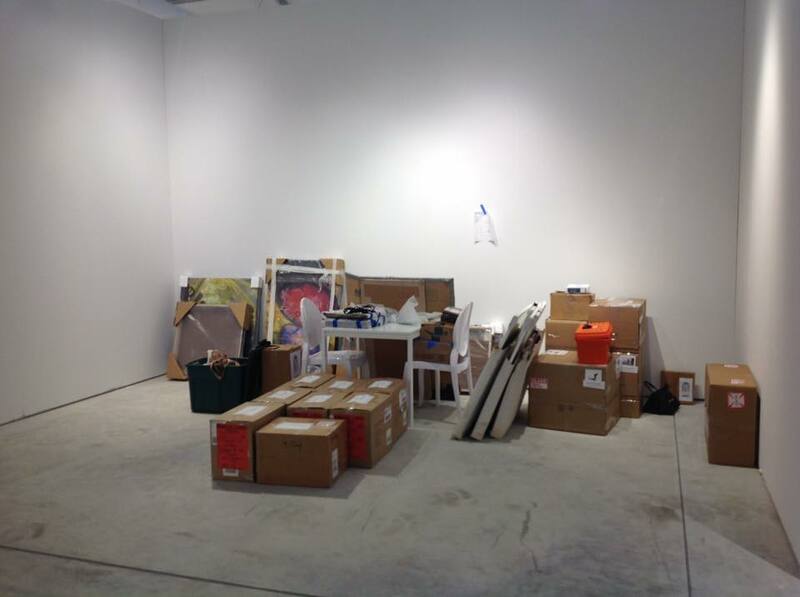 By the time I got there around 10AM, the artwork had been unloaded and delivered to our two spaces at C321 and C322. 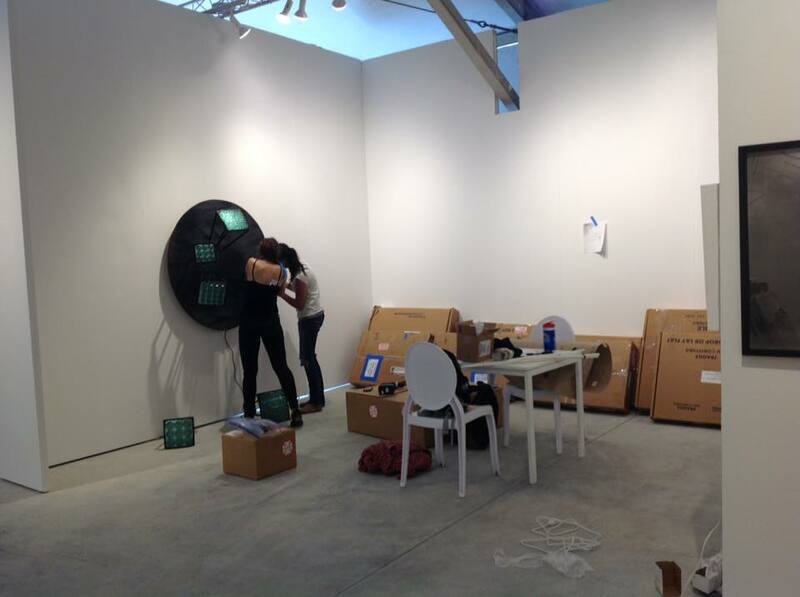 Soon the unpacking and hanging of the work begins, and the two begin the time consuming task of installation! Next is the art of putting the labels up. It wasn't that many years ago that foofy galleries would not put up any labels for artwork, as the idea being pushed was that true art was too special to be addressed or commodified by something as crass as a label that gives you the basic information of the piece (title, artist, media and price). That has essentially become a thing of the past. We headed back to the hotel room, except for LBK, who still had a lot of work to do with the artists from the Scope Art Fair, which she's assisting as well!